Researchers should not assume that respondents can provide accurate or reasonable answers to all questions, The researcher should attempt to over Come the respondents’ inability to answer, Certain factors limit the respondents’ ability to provide the desired information. The respondents may not. be informed, may not remember, or may be unable to articulate certain types of responses. Respondents are often asked about topics on which they are not informed, A husband may not be informed about monthly expenses for groceries and department store purchases if it is the wife who makes these purchases, or vice versa, Research has shown that respondents will often answer questions even though they are uninformed, as the following example shows. 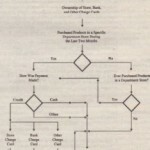 In situations where not all respondents are likely to be informed about the topic of interest, filter questions that measure familiarity, product use, and past experience should be asked before questions about the topics themselves Filter questions enable the researcher to filter out respondents who are not adequately informed. 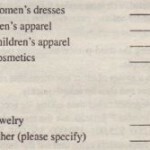 The department store questionnaire included questions related to 10 different department stores, ranging from prestigious stores to discount stores. It was likely that many respondents would not be sufficiently informed about all the stores, so information on familiarity and frequency of patronage was obtained for each store (see Chapter 1), This allowed for separate analysis of data on stores about which the respondents were not informed. A “don’t know” option appears to reduce uninformed responses without reducing the overall response rate or the response rate for questions about which the respondents have information. Hence, this option should be provided when the researcher expects that respondents may not be adequately informed about the subject of the question? How often do you consume soft drinks in a typical week? The inability to remember leads to errors of omission, telescoping, and creation, Omission is the inability to recall an event that actually took place, Telescoping takes place when an individual telescopes or compresses time by remembering an event as occurring more recently than it actually occurred For example, a respondent reports three trips to the supermarket in the last two weeks when, in fact, one of these trips was made 18 days ago. Creation error takes place when a respondent “remembers” an event that did not actually occur, The ability to remember an event is influenced by (I) the event itself, (2) the time elapsed since the event, and (3) the presence or absence of events that would aid memory, We tend to remember events that are important or unusual or that occur frequently. People remember their wedding anniversary and birthday. Likewise, more recent events are remembered better. A grocery shopper is more likely to remember what was purchased on the last shopping trip as compared to what was bought three shopping trips ago. Research indicates that questions that do not provide the respondent with cues to the event, and rely on unaided recall, can underestimate the actual occurrence of an event. For example, unaided recall of soft drink commercials could be measured by questions like, “What brands of soft drinks do you remember being advertised last night on TV?” The aided recall approach attempts to stimulate the respondent’s memory by providing cues related to the event of interest, The aided recall approach would list a number of soft drink brands and then ask, “Which of these brands were advertised last night on TV?” In presenting cues, the researcher must guard against biasing the responses by employing several successive levels of stimulation. The influence of stimulation on responses can then be analyzed to select an appropriate level of stimulation. Respondents may be unable to articulate certain types of responses, For example, if asked to describe the atmosphere of the department store they would prefer to patronize, most respondents may be unable to phrase their answers, On the other hand, if the respondents are provided with alternative descriptions of store atmosphere, they will be able to indicate the one they like the best, If the respondents are unable to articulate their responses to a question, they are likely to ignore that question and may refuse to respond to the rest of the questionnaire, Thus respondents should be given aids, such as pictures, maps, and descriptions, to help them articulate their responses.